Getting nipped and tucked in Hollywood is pretty common, but at SUR it seems to be a rite of passage. 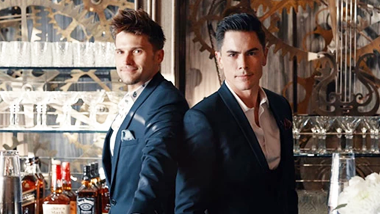 Check out all of the Vanderpump Rules stars who have admitted to getting work done recently or in the past, and see how it’s transformed their looks today. This Vanderpump star arguably has the most #adulting experience of all her co-workers thanks to her now-defunct marriage and her recent decision to freeze her eggs. But then again she’s always been ahead of the curve. Scheana admits to receiving Botox since she was 25 years old, and she’s also been known to get lip injections, too. While Kristen has been known to receive a Botox injection or two, she caught everyone’s attention in October 2015 when she underwent reconstructive facial surgery following an injury. The reality TV star fractured her face in three places after falling out of an Uber, and now has three titanium plates to keep her face symmetrical. See more: How old is the Vanderpump Rules cast? Until recently Brittany was one of the only cast members that avoided facial injections and fillers but that changed in early 2018 when she got a Kybella injection to reduce her double chin and give her face a sleeker look. But as viewers know that’s not the only procedure the star has had over the years: in 2016 she had breast augmentation surgery, going from a C-cup to a D-cup after her then-boyfriend, now fiance, Jax Taylor convinced her it would be a present for both of them. See how Brittany has changed over the years. Jax is a proponent of all things self-improvement, at least when it comes to the visual aspects of a person. That’s why he had a nose job in 2014 (and a subsequent surgery after he ran into a glass window while the surgery was still healing). The star also underwent a very public “manboob” job to reduce his chest as a result of enlarged breast tissues, potentially the result of supplements he was taking at the time. Having a full set of lips seems like a prerequisite for the ladies of Vanderpump and Ariana is no exception. Whether she’s had other procedures or needles is up for debate, but lip injections have definitely been a part of her beauty routine. Of all the Vanderpump stars, LaLa is the one who seems to love medical enhancements most. She’s admitted to having breast surgery in the past, and is an advocate of fillers and injections. In fact, the star recently decided it was time to tone it down a little. She told press that from now on she’s ditching cheekbone fillers and Botox above the eyebrow and lips because she feels they make her look like “a walking cat-duck.” Don’t worry though, her jawline, chin and forehead are still open for future injections. Want more Lala? See the star's most outrageous looks. The former SUR employee has admitted to physical alterations very early on in life, receiving a chin implant when she was just 18 years old. Nine years later she went under the knife again, this time for a breast reduction procedure that transformed her chest from a DDD to a D. Watch closely and you can sometimes see the scars—she embraces them and never wants them edited out.